Whoever said that golf and Seattle don't mix has obviously never heard of one of the most famous golfers to play the game: Fred Couples. Seattle area golf is alive and well and has been for quite a while. Couples grew up playing the game in and around Seattle when his dad worked for Seattle's Park and Recreation Department and golf in the region is only becoming more and more popular. Even though Seattle weather (can anyone say rain and clouds?) can dampen your trip to the golf course, there are plenty of things that more than make up for the drizzle. And golfers here never let a little rain take them away from a round or two at their favorite course. So why should you? 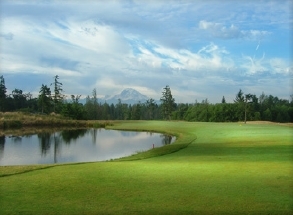 What's so good about Seattle area golf? Add to that various golf courses that offer magnificent views of Lake Washington, downtown, or even the Olympic Mountains, and you've got a pretty nice selection of places with great scenery and views. Another reason why golf and Seattle go so well together is that prices haven't gotten totally out of control like they have in other parts of the country. Sure you'll find a fair share of expensive courses, but enough courses cater to the casual golfer and this keeps prices relatively low. And because the weather can impact the play, a lot of courses tend to lower the prices even more heading into winter, usually around October. Plus, more and more courses are offering web specials that can lower the green fees even further. Finally, there are a ton of Seattle area golf courses. With almost 20 private courses and over 60 different golf courses to choose from, the only problem you'll have is deciding which one to choose from. Granted, Seattle itself only has room for a few of these courses, but there are additional courses up and down I-5 that aren't too far from downtown. When you can choose anywhere from courses down by Federal Way in the south up to Mukilteo in the North, along with a bunch of places in between, you know you're in a pretty decent golfing region. So next time you're in Seattle, make sure you check out one of the area's courses because golf and Seattle definitely go hand in hand! Back from Golf and Seattle.